Explore the Bentley new car model range. 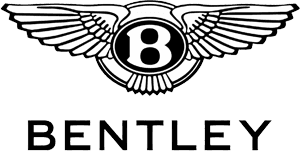 Luxury car manufacturer Bentley was founded in London in 1919 by W.O Bentley who wanted “To build a fast car, a good car, the best in its class.” The first car to carry the Flying B emblem was the Bentley 3.0 litre which was built in London’s famous Baker Street. At the first ever Le Mans race in 1923 a private owner entered his Bentley into the race finishing in an impressive 4th place. Now nearly a century later the Bentley name continues to represent luxurious high-performance cars. Every car that leaves the factory has been hand crafted by experts who create each car not merely assemble. You'll find every single elegant, streamlined and purposeful current model on proud display at our dealership. The range includes the incomparable Flying Spur, the refined Mulsanne and the immediately recognisable Continental GT - the choice is yours. Please visit us to view and compare models, receive more details on your preferred car, and to organise an exhilarating test drive. Alongside the new selection, our frequently-updated stock of approved used cars reflects the varied, successful and reassuringly long history of Bentley. Before any model is added to the range, we check, test and verify it to make sure it meets your standards and requirements. You can drive away in confidence, in a head-turning vehicle that remains at the forefront of road-car performance. We're the premier dealer for the manufacturer, providing exceptional care and support from our modern showroom on Boucher Road. It's our pleasure and our pride to represent a brand that's admired and known worldwide, and to bring its prestige vehicles and services directly to you. As a specialist car division, we maintain the high standards that you expect and deserve. On each visit that you make you're guaranteed friendly yet professional care and the most suitable solutions to your personal motoring needs. For as long as you own any of the manufacturer's inspiring vehicles, you can count on our support. We provide cutting-edge facilities and expert care at our on-site service centre. Bentley makes genuine replacement parts and accessories to fit each model with snug precision, and we use these items for all maintenance and repairs. Our technicians have been trained to inspect with a careful eye and fit any replacement components with reassuring precision. Please contact us today for further information. You can do so via the online enquiry form here on our website, or by using the address and telephone number on our contact us page. No matter how you prefer to reach us, you'll have access to expert advice and one of the broadest selections of cars, products and services.